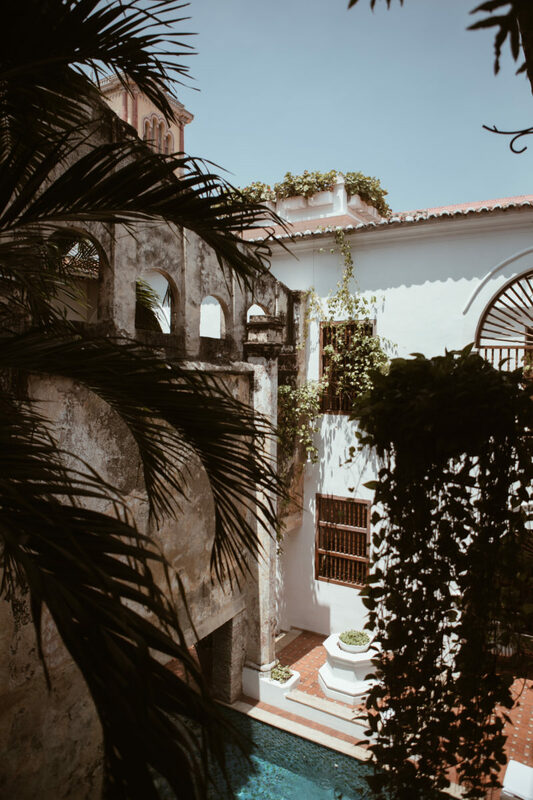 Cartagena is a city that exists behind walls—you never know what’s happening on the other side of an unassuming doorway or colorful façade. 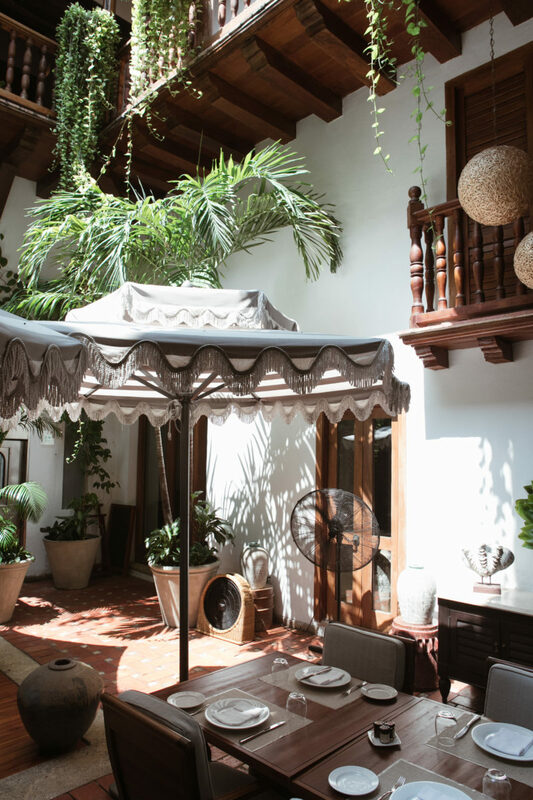 Casa San Agustín, a hotel in the center of the 500-year-old city, follows this rule. 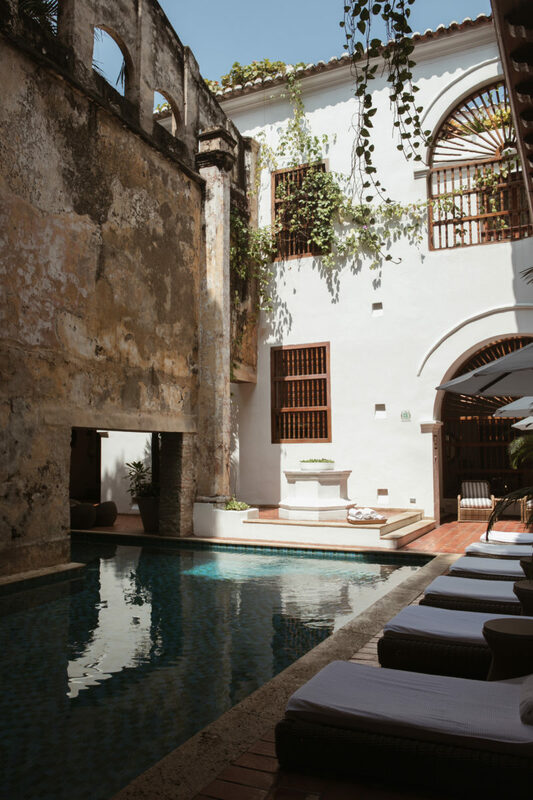 Walk through a wrought-iron gate and tiled lobby and you’ll find yourself gaping at the remnants of a historic aqueduct, with a cutout for the swimming pool so that guests can backstroke right under it. 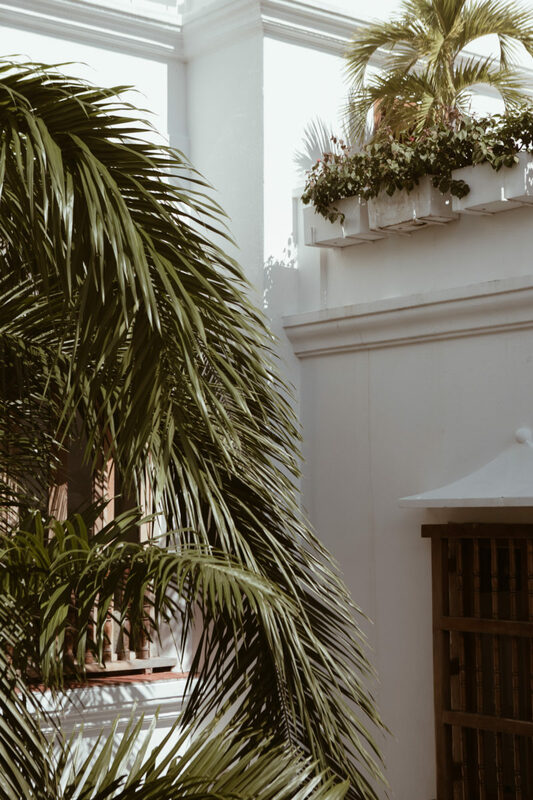 The hotel is comprised of three 19th-century buildings that were combined into a family estate in the early 1900’s, then converted into the hotel in 2012. 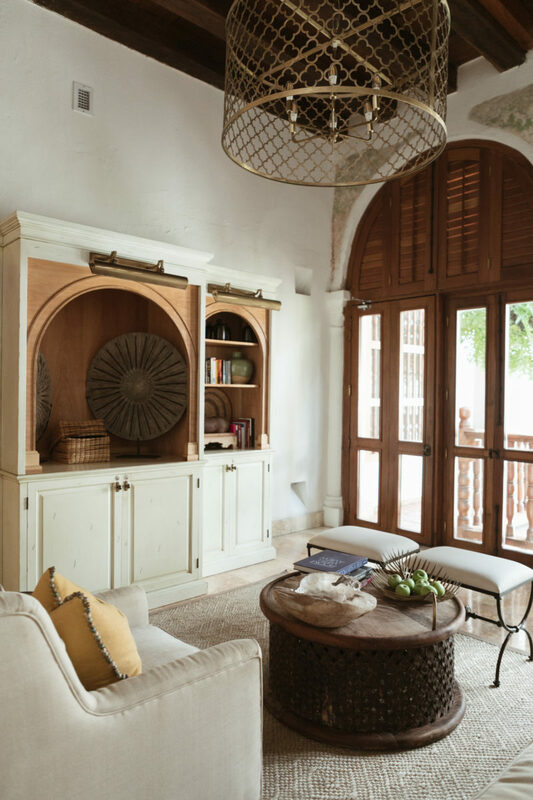 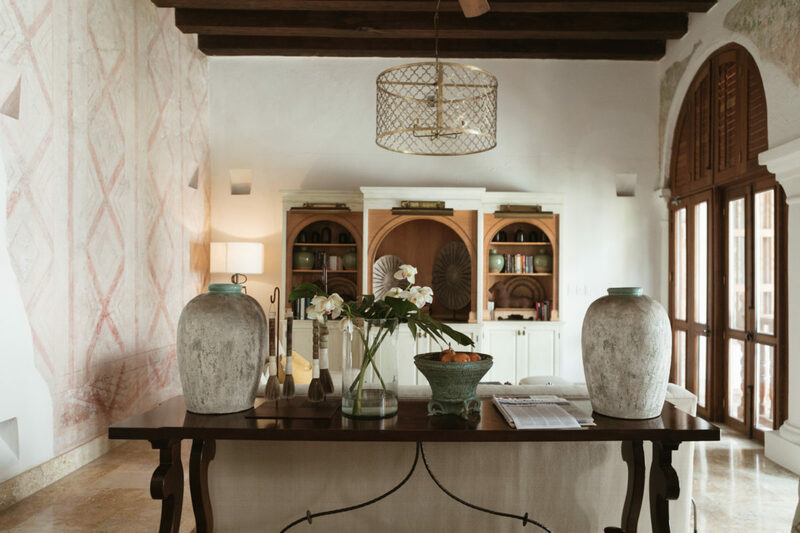 So it makes sense that interior designer Kelley McRorie decorated the space to feel like a residence from a bygone era, complete with original frescoes in the library, wood-beamed ceilings, and colorful tile accents. 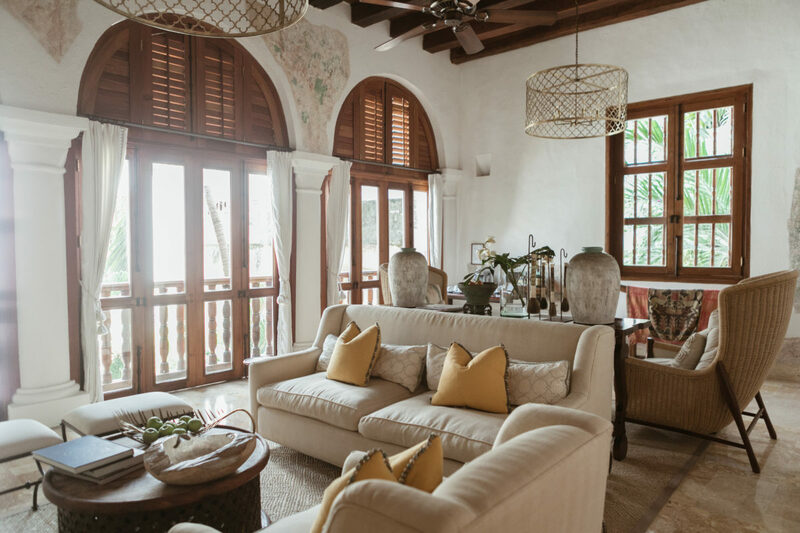 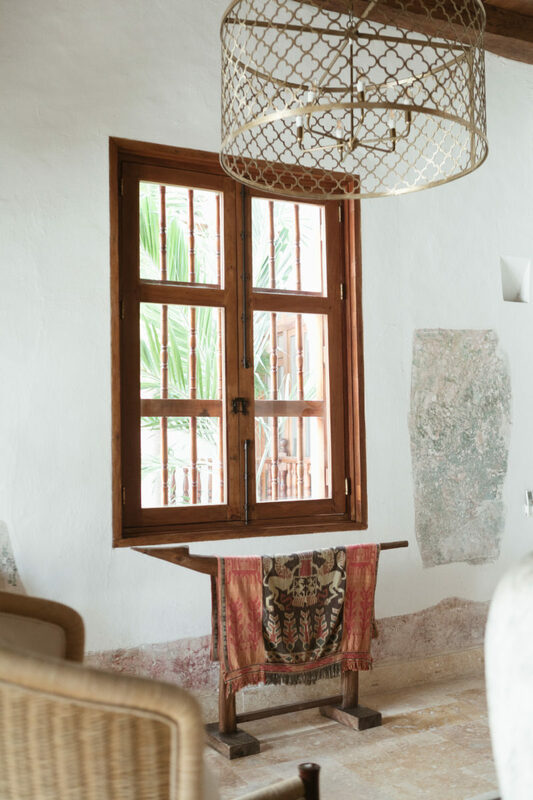 There are only 20 rooms and 10 suites at Casa San Agustín, each with what could be the world’s most comfortable beds (there’s also a pillow menu from which you can order the firmness of your choice). 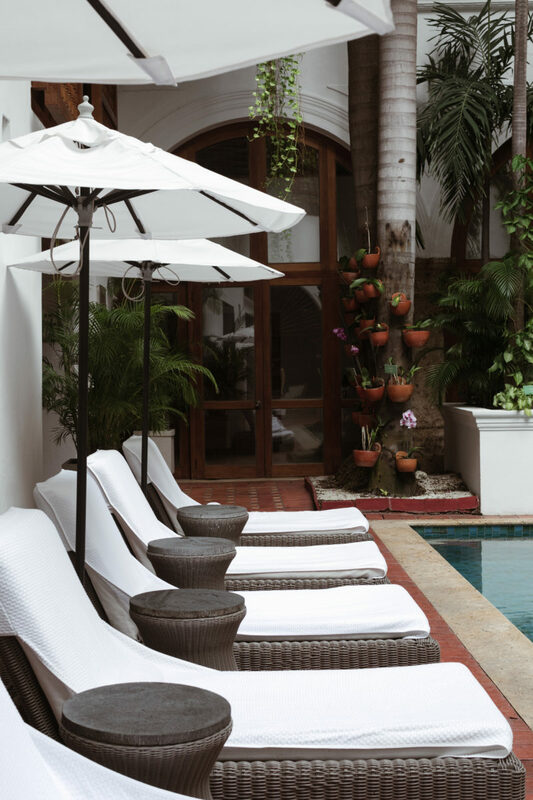 At the hotel’s restaurant, Alma, chef Heberto Eljach serves up Colombian fare with a twist, like lobster empanadas with cream cheese, sweet corn, and chipotle aioli; sea bass chicharron with sweet chili and rocoto coulis, double-fried plantains, and coconut rice; and Cartagena-style seafood chowder with shrimp, squid, octopus, and mussels in coconut milk. 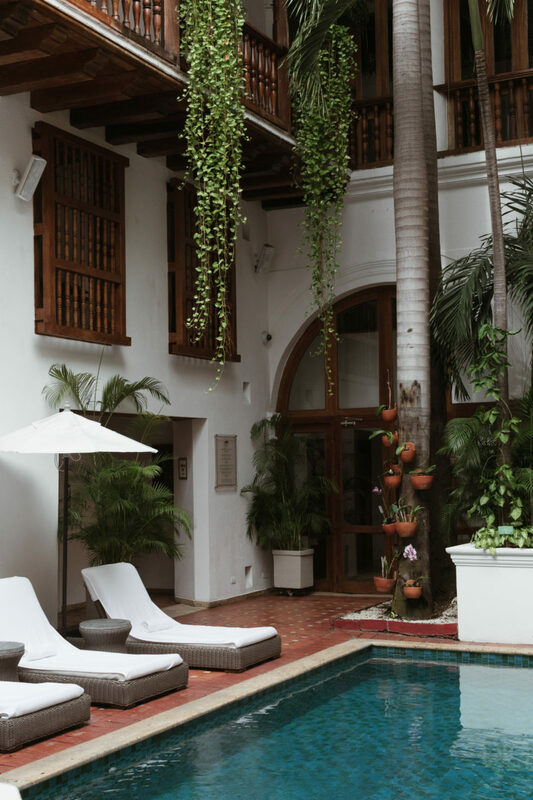 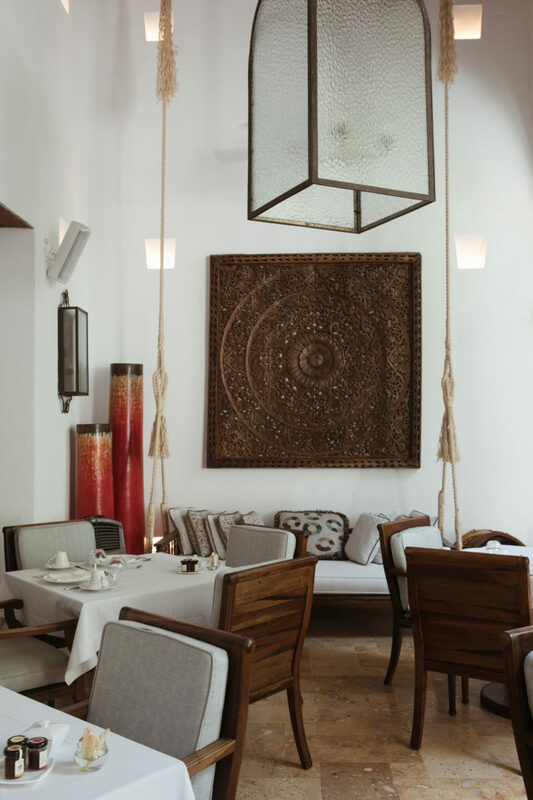 Imagine eating all this in an outdoor courtyard with stucco walls and an abundance of potted and hanging plants, with one of the bar’s craft cocktails in hand—you may not want to leave to explore anything else Cartagena has to offer.